Looking for an original holiday experience this year? Rent one of these quirky accommodations from HolidayParkSpecials. Yes, that’s right, a holiday park with a treehouse. You don’t have to go all the way to the jungle to stay in an authentic treehouse in a richly-wooded forest. Surrounded by nature and animals, you’ll sleep at the high altitude of three metres just below the canopy of the trees. To get to the comfort of your cottage, you’ll climb a simple staircase. In the morning, you can swiftly return to the mainland using the slide (maybe not before a coffee, though). Inside the treehouse, you’ll find two bunk beds, a kitchen and dining area. The park itself is characterised by many animals, included foxes, badgers and deer, and more family fun. 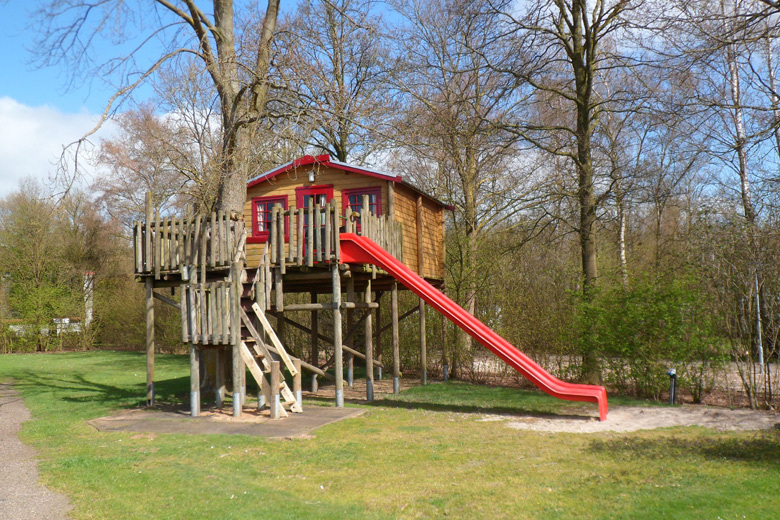 The best thing about a stay in this treehouse at Vakantiepark Dierenbos is that you receive an AttractionPass. This pass gives you free entry to all of the main attractions in the area. For those who aren’t done with high altitudes, you can visit Aviodrome theme park. 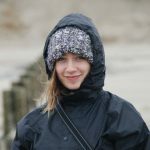 Other attractions include Beekse Bergen Safari Park, Animal Kingdom in Mierlo and Aqua Zoo Friesland. If you’re afraid of heights, this lowdown dune hut is the perfect antidote. The brand new Efteling holiday park Loonsche Land offers several forest, dune and heath huts amid typical Dutch countryside. 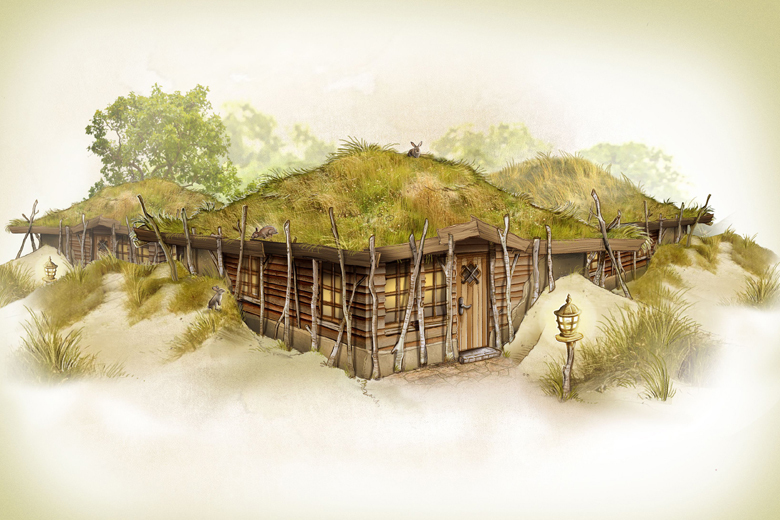 These huts are made entirely of natural materials and are hidden behind the dunes or deep in the woods. In other words, it’s impossible to get closer to nature. The interiors are luxurious, with every detail perfectly fitting the surroundings. Those who choose this as their unique holiday experience also get unlimited entry in the Efteling theme park: whatmore could you want! The park is a short walk through the woods and guests of the holiday park are able to spend an extra half an hour exploring the enchanted Efteling than other guests. A Pipowagen is a Dutch phenomenon that refers to Pipo the clown and the wagon he travels in. The closest thing we have in England to a pipowagen is probably a gypsy wagon or a vardo. These wagons have become increasingly popular in recent years with explosing of tiny houses. The gypsy wagon is the original tiny house and perfect for a mini break with the family. 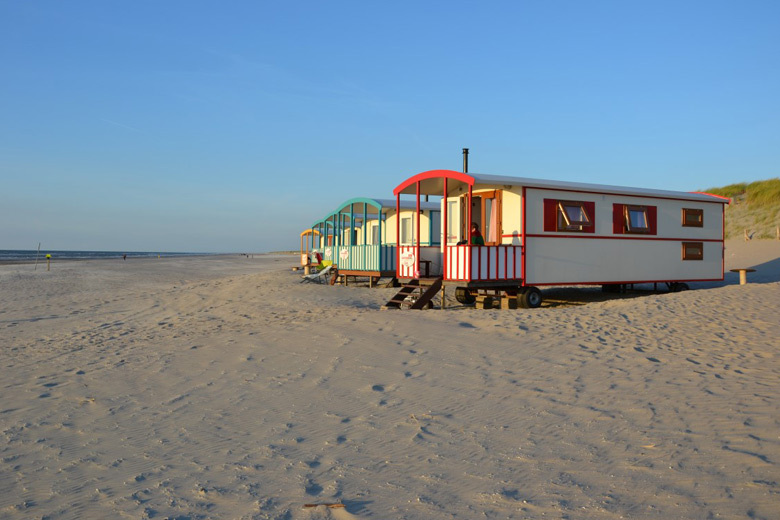 Strandpark Vlugtenburg aan Zee offer beautifully decorated and modern wagons directly on the beach, so you can fall asleep to the rhythmic lap of the waves and wake up with a stroll along the coast. Perfection! Book a stay in a wagon at Strandpark Vlugtenburg aan Zee and either fly to Rotterdam or get the ferry across from Harwich. The holiday park is just a five minute drive from the Hook of Holland. When it comes to quirky places to stay, FarmCamps is at the top of the list. FarmCamps offer the perfect combination of luxury, nature and education. FarmCamps have 12 locations in the Netherlands, all of them on working farms. Upon arrival, you’ll be introduced to the farmers and shown to your luxury glamping spot. Located in the most beautiful corners of Holland, the farms range from horse ranches to organic chicken farms. What’s special about this experience is that children are given tasks throughout the stay and can leave with a qualification – the farmer’s passport! From milking the cows to riding the ponies or even painting Dutch clogs, children can get so much out of this short break. If you’d really like to immerse yourself in farm life, you can also join the farmers for dinner in the evening. Of course, you can also cook in your large luxury tent. Have a look at our FarmCamps accommodations at HolidayParkSpecials and treat your familyto a relaxing and educational experience amid the most beautiful Dutch countryside. Giethoorn, also known as the Venice of Holland and the Village with no Roads, is a mostly car free village in the Dutch province of Overijssel. Many of the houses can only be reached by boat in Giethoorn. 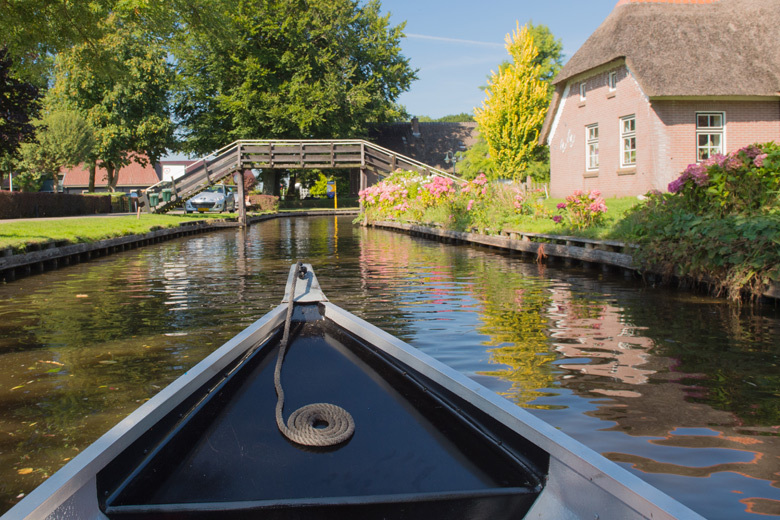 Luckily, Vakantiepark Giethoorn includes a boat in the price of your accommodation, so you can slip out of your cottage and straight into your boat for an adventure on the waterways. Read about the wonderful Five Adventurers recent stay at Vakantiepark Giethoorn and book your next watery getaway at HolidayParkSpecials.co.uk. What has been your most unique overnight experience? Let us know in the comments below!